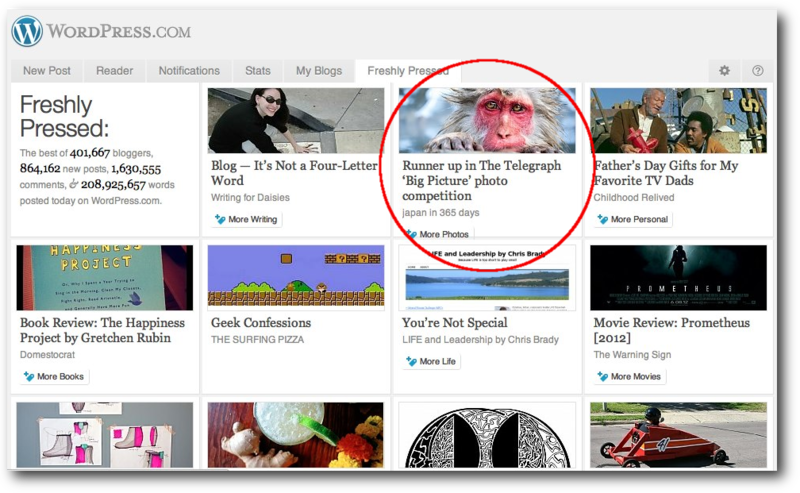 About a month or so ago one of my posts received the honour of ‘freshly pressed’ on the wordpress website. It was very unexpected and I was extremely happy to be featured! Sometimes it feels as though your pictures are lost to the internet labyrinth, never to heard from again and not seen by anyone in-particular. So to be recognised is very rewarding! Thank you to everyone that followed me and commented on my blog! See the freshly pressed post here, or see a copy below. See all my monkey moments. Congratulations, well deserved and that really is a superb photo.